Community groups and passengers in Wiltshire could have more say over the design and operation of their local rail services, under plans announced this week by Rail Minister Claire Perry. The government is consulting on designating the 32-mile route between Swindon and Westbury — known as the TransWilts line — as a community rail service. This would allow the community to design train services according to local needs, which in turn would help increase passenger numbers, improve connectivity to key destinations and ultimately boost the local economy. I know how important this line is to local communities in Wiltshire, and it’s right that passengers have a bigger say in shaping its future. 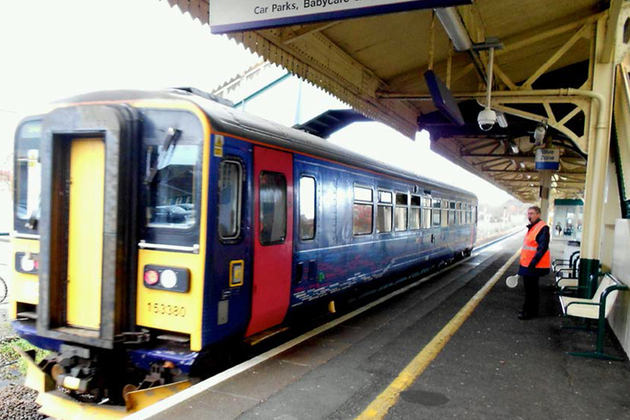 By designating the TransWilts line as a community rail service, we can breathe new life into this route, ensure its long term future, and improve connections between Swindon that will mean better journeys for customers and promote local economic growth. If the plans go ahead, train companies including Great Western Railway will continue to operate passenger services. However, it will be with the support of the TransWilts Community Rail Partnership, comprising local organisations, train operators, Wiltshire Council, rail users and other interest groups. The partnership will have direct input in securing better services and station facilities for customers, including Chippenham and Melksham stations, which also fall under the proposals. Community rail partnerships are made up of local councils, train operators and community groups including volunteers, to decide how lines should be run. Research shows that community rail partnerships are good value for money and support economic, social and environmental development in local areas. Infrastructure such as track and signalling would remain under the authority of Network Rail. Nineteen rail lines around the country have been designated by government as community lines since 2005, along with a further 21 as community rail services since 2005. In the south-west of England, these include the Heart of Wessex line (Bristol to Weymouth) and Avocet line (Exeter St Davids to Exmouth). The 8 week consultation runs until Wednesday 6 April 2016.